There are few things I love unconditionally in this world: my family, my friends, my dog, and Disney. So, when Cathleen (my best friend and the lovely owner of this blog) asked me to guest blog for her about Disneyland, she must have known she made the right decision. A little background information on me and Cathleen, we met when we were 12 years old in middle school, and on the outside, we couldn’t be more different. However, luckily we were forced to work on a project together, realized that we were essentially one soul split into two, and the rest has just been part of our incredible best friend-ship for 11 years (wow, I feel old now). 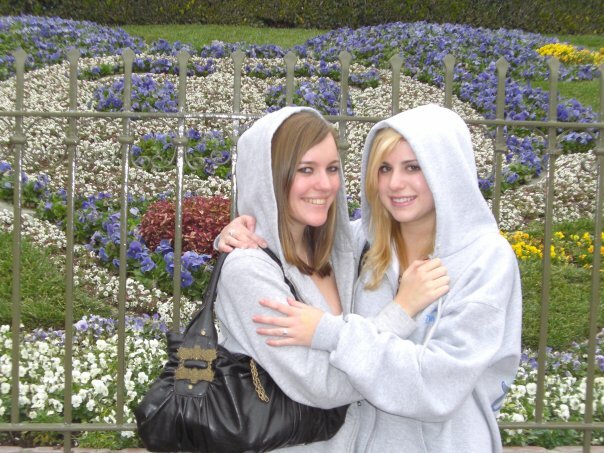 Disney was one of those contributing factors that we bonded over with many late night Disney movie marathons, and biannual Disneyland trips with her parents. And then, we finally turned 16, got our drivers licenses, saved up our first few paychecks from our crappy minimum wage jobs, bought Disneyland annual passes, and spent the rest of our high school career going to Disneyland practically every week thanks to free period and a quick 50 minute drive. Then we had to go away to college in San Francisco (which I call the Disney dark ages) and it was then that I really realized what a huge part of my life Disneyland truly was. Since those dark ages I actually ended up moving to Orange County and now live ten minutes away from the Disneyland Resort and even work at the Downtown Disney District. So, it is with extreme confidence that I say I am pretty much a Disneyland expert, and am therefor am an extremely credible source for you to take this list of Disneyland Dos and Don’ts from! – Bring snacks to munch on throughout the day waiting in lines. Trust me on that one. – Bring your own camera. PhotoPass photographers will take pictures with it as well as their own so if something happens you have double copies. – Take advantage of the Fast Pass system. If you play it right, you’ll be able to get on everything that you really want to. – Save Fantasyland rides for AFTER the fireworks if you don’t go straight away early in the morning. Most of the little kids are long gone and asleep by then. – Eat breakfast in the park. There are so many incredible early morning treats you’ll miss if you don’t. – Take advantage of the transportation on Main Street. I didn’t discover how awesome it really is until not too long ago. – For the 21+ readers, take advantage of all the bars in Disney California Adventure and in the Disneyland Resort Hotels. You’re day will be much more enjoyable after a Fun Wheel or two. – Plan your day around the parades, fireworks, and shows. Even if you don’t want to see them, there’s going to be traffic EVERYWHERE. – Sit in the back row of Big Thunder Mountain and the front of Space Mountain. If you ask POLITELY instead of demand, they’ll move you to the side for three minutes tops and get you in the row you like. – Go to City Hall and get pins for any occasion. – Visit the Animation Academy in DCA, there’s so much really cool unique and fun stuff to do in there. Also a good place to take a semi-nap on a hot day. – Use the single rider line if you don’t mind splitting up with your friends for a minute if the line is too long and/or Fast Passes are gone. – Take pictures with the characters early in the morning; more of them are out and about then! – Respect people’s personal bubbles. Being two inches closer isn’t going to change anything. – DOLE WHIP FLOATS. Enough said. Oh and pickles. – Go to Toon Town as early as possible. The lines there get really long very quickly and it closes very early as well. – Go with too big of a group. Eating, rides, staying together, not hating each other is all much more difficult with too many people. Especially if it’s a bunch of girls. Trust me, I know from experience. – Wear heels. Why would you think that’s a good idea? You don’t look cute, you look ridiculous. Especially pushing around a stroller all day. – Eat at a table service restaurant if you’re not prepared to tip. Yes, Disneyland is expensive, but there is plenty of really good and yummy quick service restaurants throughout the parks that you can eat at while avoiding having to tip anyone. I could go on about this all day, but I’ll leave it at that. – Wear anything with spikes or studs, no matter how fashionable they are right now. They won’t let you past security. I know it’s ridiculous, but still. – Sit in the front Big Thunder Mountain. You can’t see anything and it’s so much slower. – Sit in the middle row of Tower of Terror. Just no. – Take flash pictures on dark rides. It’s rude and ruins the ambiance. – Walk around eating turkey legs. If you must indulge in that (ew), sit down and eat like a civilized person. This is not the Stone Age. So, hopefully if you make your way to the Happiest Place on Earth anytime soon, you’ll keep these tips in mind. And if you’re a Tumblr user like myself, feel free to follow my blog at http://sydieee.tumblr.com/ where I occasionally reblog some pretty cool Disney stuff and more often post pictures including my own Disneyland adventures!